His triplet daughters are what kept rancher Jesse Logan going after his wife's death in the High Plains tornadoes. But three infants are too much work for one man. Nurse Lori Martin loved them from the moment she saw them in the neonatal nursery. So when she hears Jesse's looking for a nanny, she can't help but offer her services. 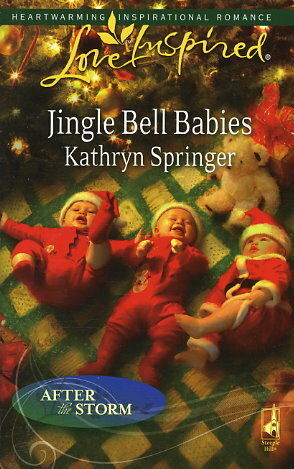 And Lori soon discovers that all she wants for Christmas is a trio of giggling babies -- and their handsome father. Ohmygosh! I cannot imagine any way to end the series than the way it ended! These six authors did such a wonderful job. This book was excellent. I can't decide which Logan story I liked better - they all three were excellent. I loved the way the authors included Maya, Greg, and Tommy throughout the entire story. Tommy's story was really the centerpiece of all six books and I loved it!!! Read these in order to get the full effect!